As I unwrap I talk about the combined thrill and terror of living through natural disasters like hurricanes and earthquakes. I always said that Philly was relatively immune to such apocalyptic events, but now I live right on a fault line (and right on the water). Episode 54 features X-Men: Inferno and X-Men: Operation Zero Tolerance, which are covered in the guides to Uncanny X-Men by Chris Claremont and X-Men (1991), respectively. In this episode I am totally faked out by set of books that are so thoroughly-wrapped that I was sure I’d be talking about an Absolute Edition! As I unwrap them (under this mistaken assumption), I talk about how Marvel only occasionally releases a book that large – variously titled an Adamantium Edition or Vibranium Edition. Instead, I wind up unwrapping the first half of Kurt Busiek and George Perez’s 1998 run on Avengers! That lets me give an explanation of how Heroes Reborn extends from Onslaught and changed the status quo of the Marvel Universe. Episode 52 features the Avengers Assemble Volume 1 and Volume 2, plus Avengers Forever. For more information on these books and what they contain, see the Guide to Avengers (1996-2005). Do you remember what it was like to celebrate the new year as a young child? For me, it’s memories of banging pots and pans at midnight, but also of months trying to remember to get the date right when writing the headers of my school assignments. After all, when you’re seven years old, you’ve spent 100% of you school life so far writing the prior year down on assignments! In this episode open up two big books of comics from my original collecting days of the 90s: X-Men: Fatal Attractions and X-Men: Phalanx Covenant. As I page through them, I discuss Marvel’s process for restoring the art from these comics, and how it presents different challenges than reprinting books from the Silver Age – including dealing with holographs. Episode 51 features the X-Men: Fatal Attractions and X-Men: Phalanx Covenant oversized hardcovers. To understand where they fit into X-Men continuity, see Uncanny X-Men #281-350. What do you do when you want to turn off your brain? I know, we’ve been over it before and it doesn’t make any sense. What I mean is that my favorite brain downtime is playing with inane little logic games. Some people like button mashers. Me, I like things with numbers and lines of best fit. I grew up on Final Fantasy. I want to get lost in a forest of meaningless logic and arbitrary rules where fast reactions are not a factor. 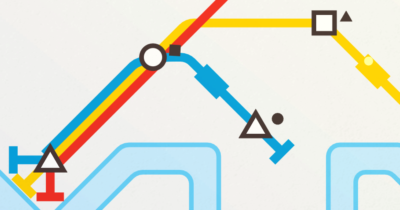 Recently, my obsession has been Mini Metro, which you can get on App Stores or Steam, but you can also play for free right in your browser. The concept is dead simple: connect the subway stops of a quickly-growing city using a limited number of lines, trains, and tunnels, but unlimited tracks. Doesn’t sound so hard, right? Well, when you have no control over where those stations pop up or where their commuters want to go things get tricky. It’s a terrific game for brief downtime (like commuting!) and you can play it care-free or with great exactitude. It’s the sort of thing that fits into the little spaces in your life when your brain simply isn’t up for anything else. I love the simple iconography, although I will say that the lack of explanation of how the game works might make your first thirty minutes pretty maddening – especially when it comes to the dragging and dropping of lines and trains. I played the browser version for a few days and (despite my initiation frustrations) eventually broke down and actually downloaded Steam so I could have a full version where I could select cities and track achievements. I might not hesitate to pay for things I like, but getting me to download something is really hard. Plus: it was made right here in New Zealand by developer DinoPoloClub! 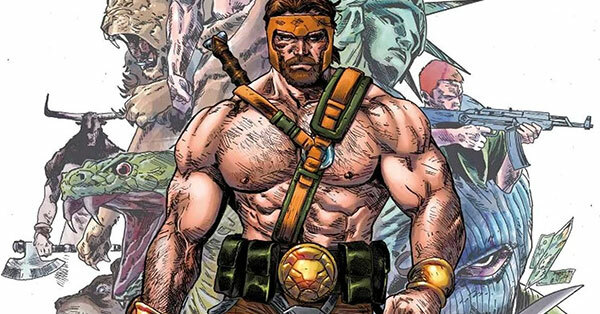 Today I’ve updated the guide of Marvel’s marquee Olympian – The Definitive Guide to Marvel’s Hercules! Want to learn more about Marvel’s take on the Greek God, but don’t need a rundown of every issue in which he’s made an appearance? Keep reading for a summary of Hercules’ history, a review of what he’s been up to in 2017, and a tally of how many Hercules comics have been collected overall!